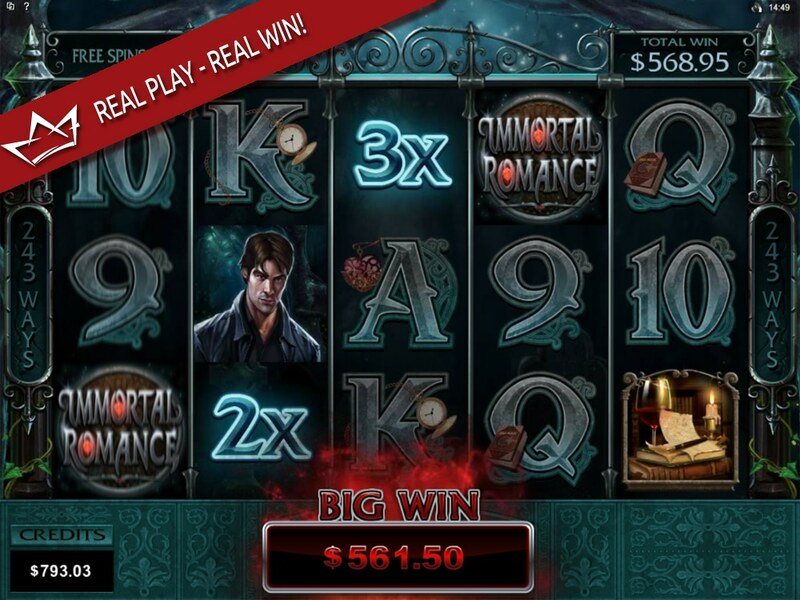 Dark secrets and ancient treasures are yours to discover in Immortal Romance – the first online slot game with an intriguing storyline that is yours to unravel… if you dare. Vampires, witchcraft, and a shocking scientific discovery intertwine with a tale of forbidden love that unfolds as you play. 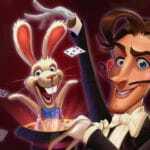 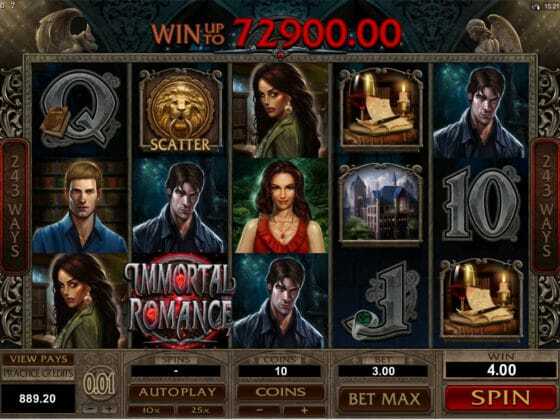 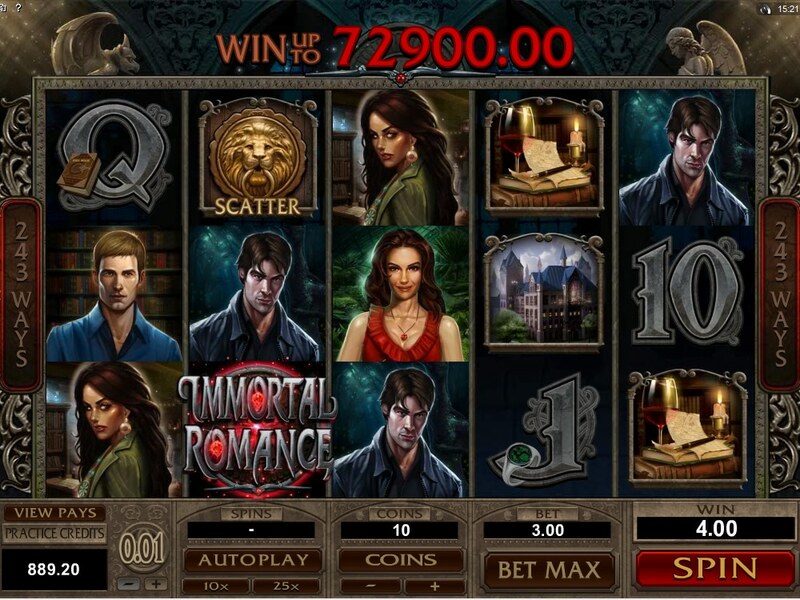 Immortal Romance online slot main game screen with 243 ways to win! 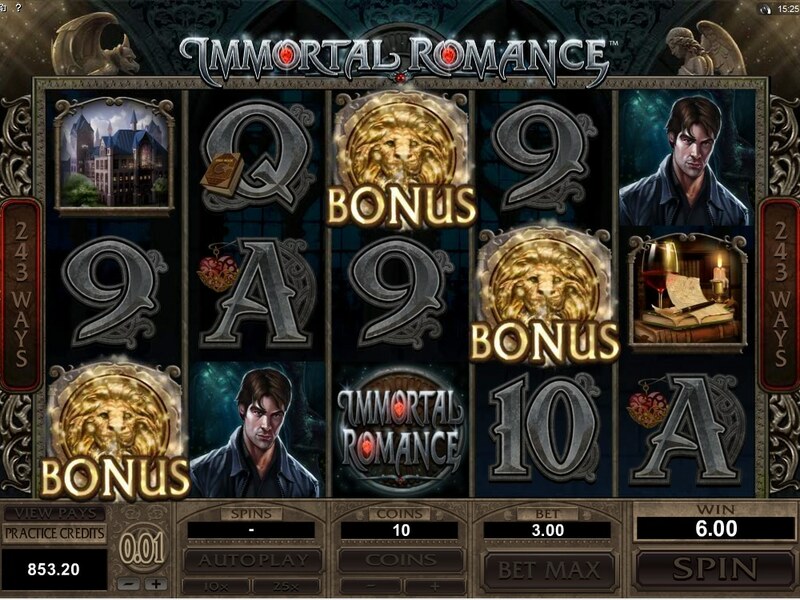 3 Scatter symbols trigger the Chamber of Spins with 4 bonus games to choose from. 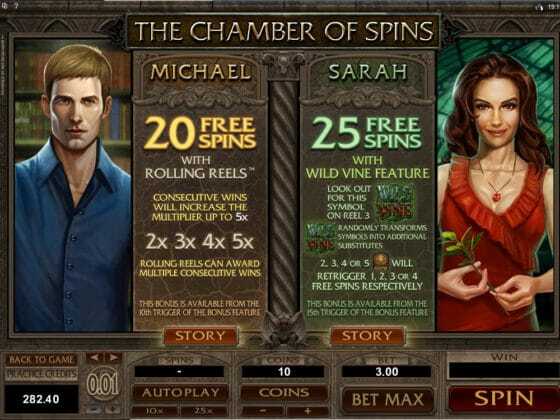 Pay table with Michael and Sarah’s FREE Spin features. A MEGA BIG win in the Troy bonus!  Sarah’s Wild Vine feature. 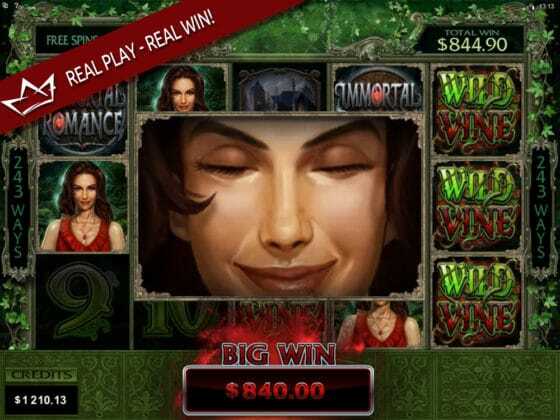 25 FREE Spins with a Wild Vine that randomly turns other symbols WILD! 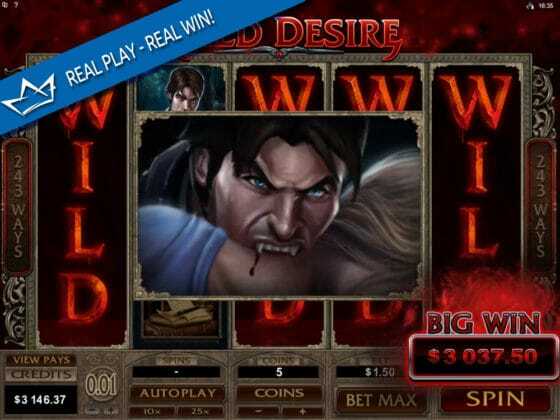 A MEGA Big Win on the randomly hit WILD DESIRE feature!